Nevada Cooler Pad, Southern Nevada’s largest evaporative cooling distribution company announces the hiring of Scott Gunn, as Energy Consultant. Mr. Gunn brings a wealth of experience and knowledge of the HVAC industry and he will incorporate his skill set as he works with new and existing clients. “We are always seeking new products and services for our customers that provide increased efficiencies in their equipment and facilities, which ultimately results in financial savings, and Scott’s experience will help us increase this level of superior customer service and support”, says Mike Zimmer, Nevada Cooler Pad’s Chief Executive Officer. Mr. Gunn’s background includes 12 years in the HVAC Industry, with the following: Ingersoll Rand (Trane Residential), Goodman Distribution, HVAC Supply (Rheem representative), and several years working for and with independent contractors. 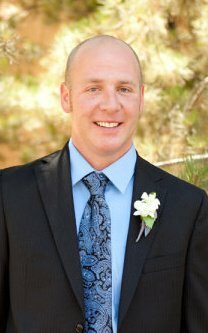 Scott received his Bachelors Degree from Colorado State University, and along with his HVAC background, he brings experience as a manager, business owner, teacher, residential and commercial sales representative. In his role as Energy Consultant and business development leader, he will navigate the process of evaporative cooling sizing and installation and will support and grow the relationships between Nevada Cooler Pad and all of their customers. This includes providing the best in-field knowledge from large-scale industrial projects to light commercial and residential. Please join us in welcoming Scott Gunn to the Nevada Cooler Pad family! Nevada Cooler Pad has served the Southern Nevada Community for the past 65 years. Dean Matejka, who Co-Owns Air Coolers Company here in Las Vegas with Michele Matejka, talks about his experience working with Nevada Cooler Pad!